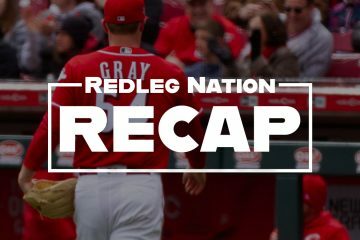 The Short Version: Sal Romano and the Reds pitchers hold the Mets to four hits, while Phillip Ervin and Scooter Gennett lead the Reds offense in a 6-1 win in New York. –Really nice start by Sal Romano, who pitched into the seventh inning. His final line: 6 innings, one run allowed on two hits and three walks, with five strikeouts, in front of friends and family at Citi Field. Romano walked the first two batters of the seventh and was lifted by Reds interim manager Jim Riggleman, despite only throwing 84 pitches. Jared Hughes entered and he did what Jared Hughes does…got out of the jam with ease. –Scooter Gennett was 3 for 4 with two runs scored and an RBI. Phillip Ervin homered, walked, and drove in three runs. –Dilson Herrera hit a ninth-inning home run against his old team. This kid can flat hit the baseball. As Chris Welsh noted on the television broadcast tonight, I really wish we could see Herrera play more for his current team. –David Hernandez pitched a shutout inning of relief. –The only bad thing was a rain delay which forced me to stay up later than I would have liked. –Good win. I prefer this Reds team to the one we saw yesterday. –The Mets started the game, even though the radar said rain was coming soon. The rain did come, one out into the top of the first inning. When the game resumed, the Mets were forced to remove their starter, Jason Vargas, in favor of a reliever. Really bright move by the Metropolitans there. The Reds hadn’t taken the field yet when the delay happened, so their scheduled starter (Romano) was able to pitch. –The Reds jumped ahead early — though not quickly. In the top of the first, Jose Peraza led off with a soft liner to centerfield that fell for a single. One out later — after Peraza stole second — Scooter Gennett singled Peraza in to give the Reds a 1-0 lead. Eugenio Suarez followed with a ground rule double and the Reds had runners on second and third. Then the rains came. After a nearly two hour rain delay, the game resumed with a different Mets pitcher (Paul Sewald) on the mound. Phillip Ervin immediately connected for a sac fly, then Tucker Barnhart drove in another run for a 3-0 Reds lead. –Cincinnati got a couple more in the top of the third. Scooter singled with one out and later in the inning, Ervin connected for his second homer of the season. 5-1 Reds. –The Reds have already lost their top two prospects to season-ending injuries. Tonight, #3 prospect Taylor Trammell was injured running into an outfield wall in Daytona. 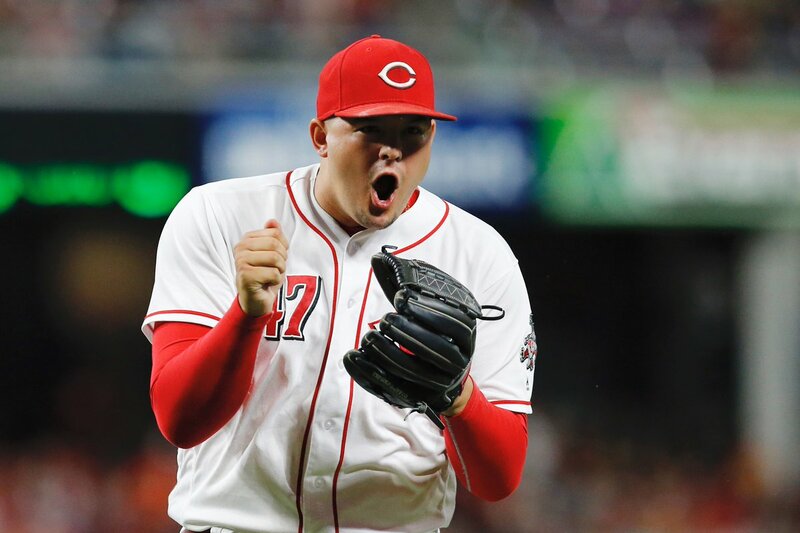 –Robert Stephenson actually gets a big league start tomorrow. I’m looking forward to it. I too would love to see Herrera play more, if only to give redlegnation enough mlb sample size to see if he really can Ã¢â‚¬Å“flat out hitÃ¢â‚¬Â or if heÃ¢â‚¬â„¢s statistically almost the exact same player as Brandon Dixon. ThatÃ¢â‚¬â„¢s not to say IÃ¢â‚¬â„¢m not rooting for both players to become a good part of the RedsÃ¢â‚¬â„¢ core. I am. IÃ¢â‚¬â„¢m also remembering the very exciting early days of Billy Hamilton that have now turned into the very long slog of keeping a guy in CF that does very little for the team almost exclusively because he could Ã¢â‚¬Å“flat out run.Ã¢â‚¬Â IÃ¢â‚¬â„¢m a skeptic until proven otherwise. I think that’s precisely the point. This year is the perfect time to see if Herrera can play, since it’s a lost season. Maybe he can, maybe he can’t, but the Reds are missing a good opportunity to get some data that can help them make decisions going forward. A big fly, a sac fly. and a walk for Phil Ervin has the feel of a baseball Gordie Howell hat trick. Keep’em coming. John Fay says the Reds’ plan was to play Herrera in the outfield and 3B during spring training but his bum shoulder sidelined the plans until he was healthy enough. Apparently, he’s been shagging flyballs in the outfield for batting practice before every game and running drills with the coaches. Obviously, that’s not enough to get him to a Major League caliber readiness to play those positions at this time. If Romano keeps having good outings it will be interesting to see if they stick with the six man rotation. Stephenson is out of options, Harvey is still here, Bailey isn’t going anywhere, Disco isn’t losing his spot. The “super sub” role may be the best path to playing time for him. As long as it is not part of the new four man outfield rotation. Gordie Howell? Did he play with Bobby Orrwell? Oops, something like that. My hockey knowledge is a much more recent thing and I admit to hearing his name many more times than seeing it in “print”. Maybe it was the translation from Canadian that led me astray??? For the record Gordie Howe. No, he was the title of a poem by Alan Ginsburg. How fun is Jared Hughes?! Love watching that guy. Romano walked the first two batters of the seventh and was lifted by Reds interim manager Jim Riggleman, despite only throwing 84 pitches. I agree. Didn’t mean to imply otherwise. Romano needs to go to the bullpen!!!! Stat!!!! Seriously, he is hard to square up on sometimes. His biggest enemy is losing command of the strike zone. Being a big guy, his mechanics get a little wonky sometimes. Really, do you want a reliever coming out of the pen that may or may not have his control going on? Romano can be a strong starter, but he needs to keep his pitching command together. And the only way he does that is keep going out there. How is Dilson Herrera statistically almost the exact same player as Brandon Dixon? Then again, they have data from the minors, not to mention they have people in the organization that can watch his work outs, batting practice, get to know his personality, etc. I know we donÃ¢â‚¬â„¢t think much of how the Reds organization is run (for good reason sometimes, a la Homer Bailey contract). But the people who donÃ¢â‚¬â„¢t have the data are us fans. We want to see what he can do. The Reds might already know to at least some degree. Or maybe theyÃ¢â‚¬â„¢re as stupid as we think they are. About three or four years ago I heard a comment during a game that the Reds that year led all of baseball in days on the DL, 1-run losses, and runners thrown out at home. 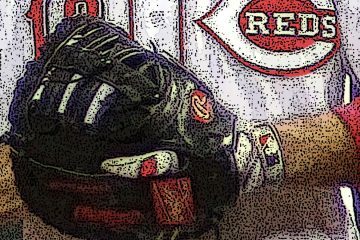 Since that time it seems the Reds have suffered an inordinate amount of DL time for starters and key prospects. Is this accurate? Do the Reds really experience far above average DL time, or does it just seem that way because I am a fan? I’m pretty sure that, last year, somebody here toted it up and found that the Reds were middle of the pack in DL time. That was me. My source is gone but found another one. The Reds are 27th this year in total man-games lost by players on the DL (510). They are tied for 22nd this year in players who appeared on the DL (14). This means our perceptions are off as far as DL time is concerned. That said, the Reds don’t always use the DL. This also only counts injuries to MLB players. So, Nick Senzel’s injury doesn’t figure into this. It is also only up to date and doesn’t project players out in advance who are out for the season, so Winker and Schebler will continue to build time on the DL. This means by the end of the year the Reds may move up the list some. The Reds aren’t as injured as we think compared to the rest of the league. This is up to date but the Reds could potentially move up the list due to season ending injury to Winker and if Schebler spends more time on the DL. Last year the Reds were higher up the list but still only about league average or so. I replied to you below (apparently twice) but they didn’t appear as replies to you for some reason. Thank you. That is exactly the information I was seeking.